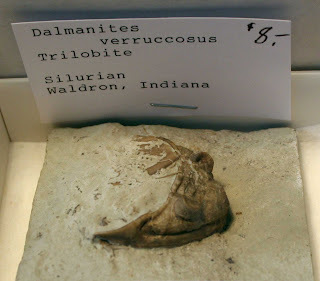 While at GeoFest 2010 at the Indiana State Museum I got permission of one of the dealers to photograph some of his fossils. 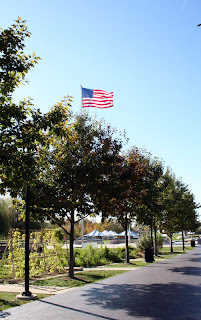 I was particularly interested in the Waldron Shale fossils. I regret not getting the dealer's name or contact information. 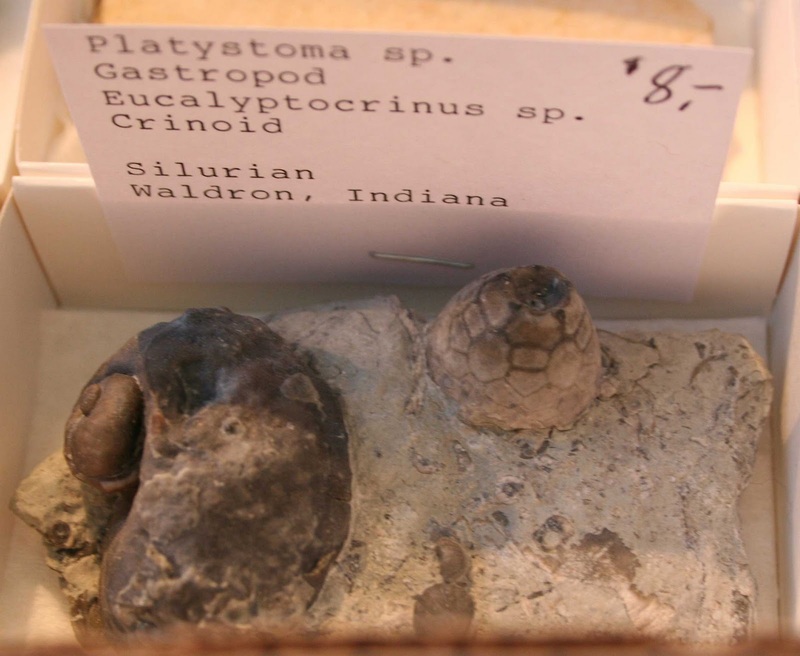 He was located in the lobby across from the dealers from Crawsfordsville, Indiana with all the Mississippian Period crinoids. This first fossil shown is a Dalmanites verruccosus trilobite cephalon of the Silurian Period found in Waldron, Indiana. 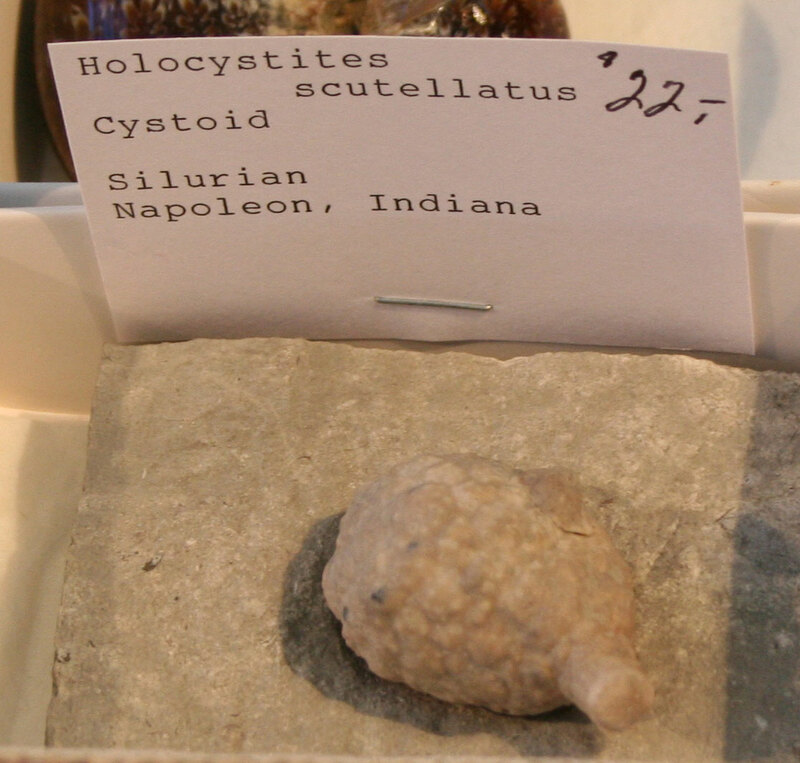 Second fossil shown is the cystoid Holocystites scutellatus from the same time period but found in Napoleon, Indiana. Platyostoma sp. 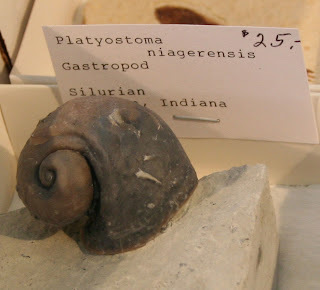 gastropod from Silurian Period and found in Waldron, Indiana. It appears to be with some sort of worm tube (Cornulites?). 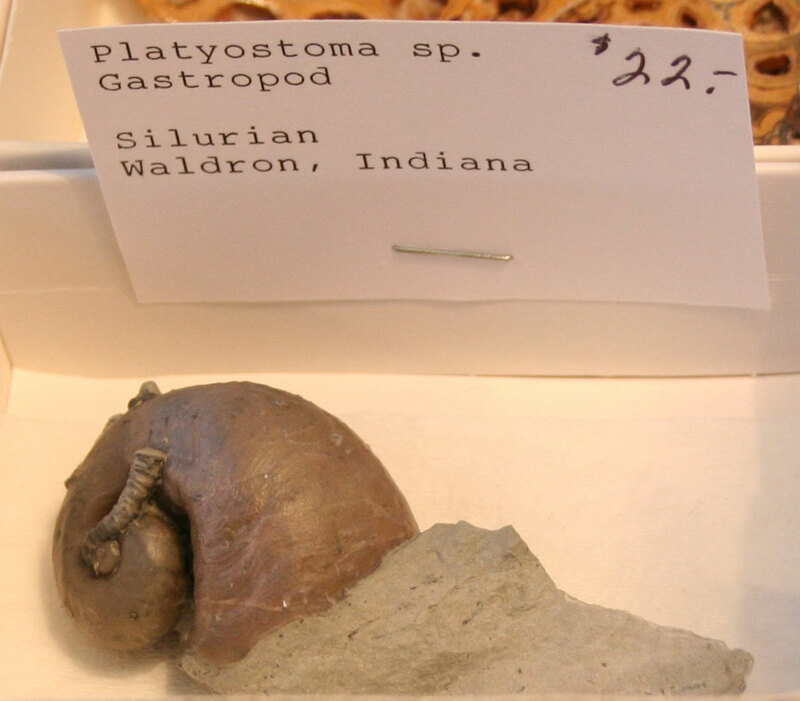 Next fossil is the Platyostoma niagerensis from same location and time period as last fossil. Last fossil is a combination of Platystoma sp. gastropod and Eucalyptocrinus sp. crinoid calyx cup found in Waldron, Indiana (Silurian Period). 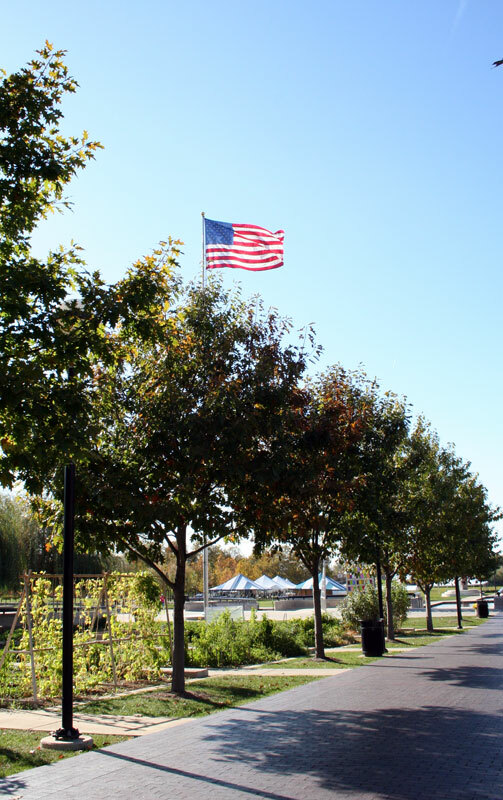 American flag flying among grove of trees as found out front of Indiana State Museum.